Are you tired? Listless? Or just plain bored? Well don’t you fret because Comic Impact has just what you need! That’s right it’s the POW, Pick of the Week Podcast! How much would you pay? Five dollars? Twenty dollars? One Hundred and Twenty-Three thousand dollars?! Well no need for that because this week we are proud to give you this Podcast for the super low! LOW LOW LOW! Low price of FREE! That’s right we here at Comic Impact are so dedicated to you listeners by giving you this POW for absolutely nothing! You’re welcome. This week we got Simon, Sheldon, Ian, and Ken to tell you everything you need to know about the best of the best comics for the week of October 6th! 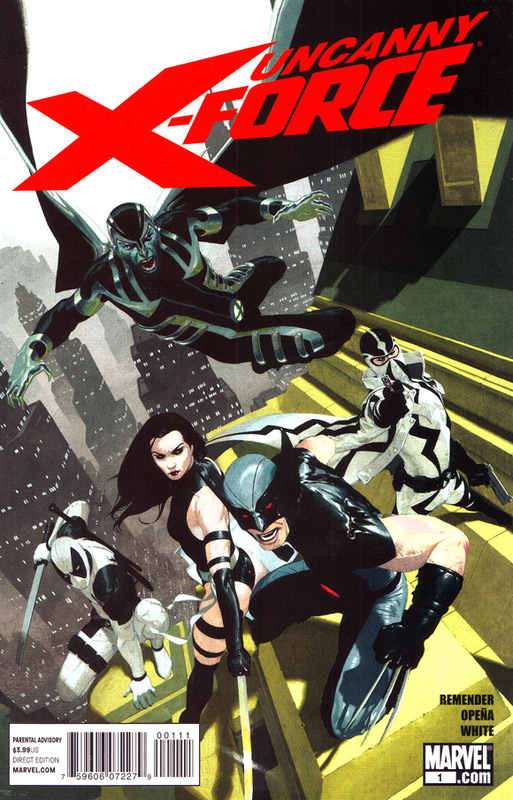 Get ready because this week the pick is Uncanny X-Force #1. Yeah, it’s that awesome! The team also discusses Captain America: Forever Allies #3, S.H.I.E.L.D. #4, Shadowland: Spider-Man #1, The Amazing Spider-Man Back in Quack #1, Chaos War #1, Wolverine #2, Lady Mechanika #0 and DeadpoolMax #1! Can they really fit all that into one Podcast? Of course they can! These guys are pros. So sit back, grab a bag of chips and a frosty beverage and enjoy this week’s Pick of the Week.